Dr. Richard Stempniak’s expertise is in the fields of Occupational Safety and Material Processing. Dr. Stempniak has previously served as coordinator of the Industrial Technology Program and as Interim Chair of the Business Department. In addition, Dr. Stempniak is a member of the graduate faculty (MSIT) and supervises master’s projects dealing with Occupational Safety and Lean Manufacturing. Dr. Stempniak consults in the local Aerospace industry as well as being an employer liaison to the Federal Aviation Administration (FAA). 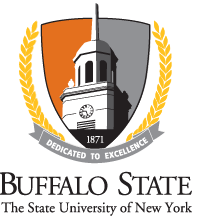 Dr. Stempniak was past president of the Buffalo State Alumni Association and currently serves on the board of directors for the Buffalo State College Foundation.